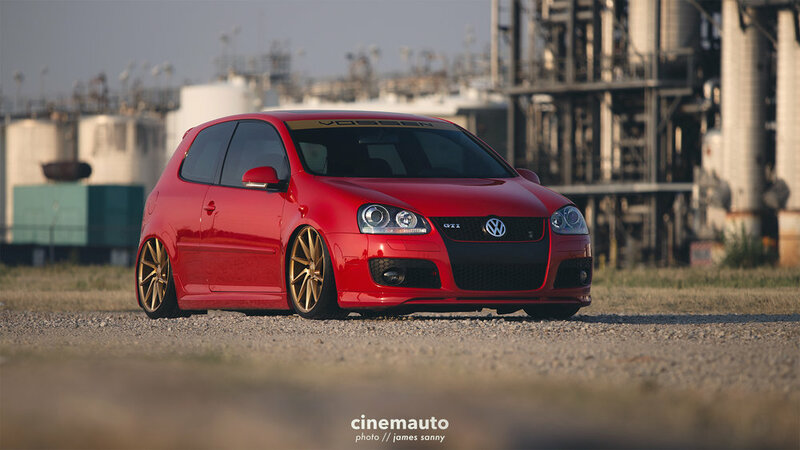 The Volkswagen Golf (or Rabbit, depending on the year and market) has become a staple in the world of aftermarket tuning. 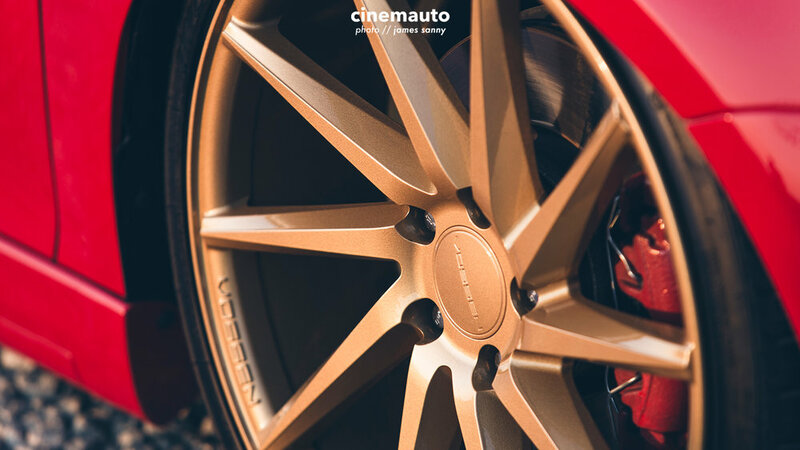 Some owners enjoy the size and handling of the car straight from the factory. Others feel the car makes an excellent foundation for an affordable sports car build. No matter how you slice it, the Golf is known and enjoyed worldwide. 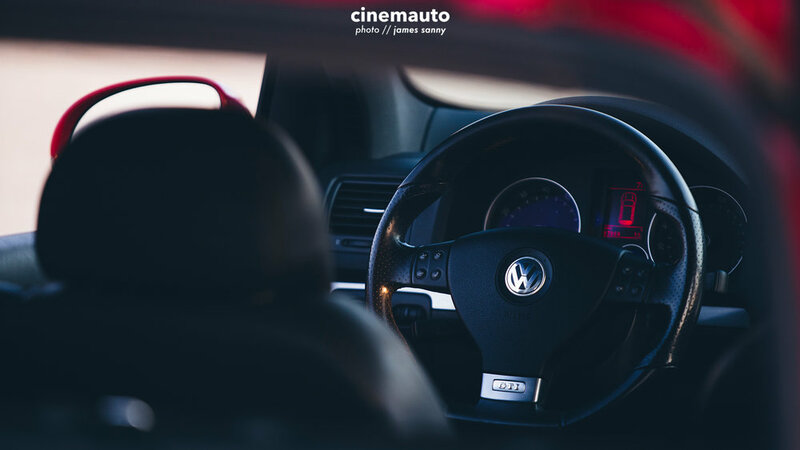 Originally designed to replace the Beetle, Volkswagen's notorious hot hatch arrived on the scene in 1974 with a modern look and the familiar 3-door layout. 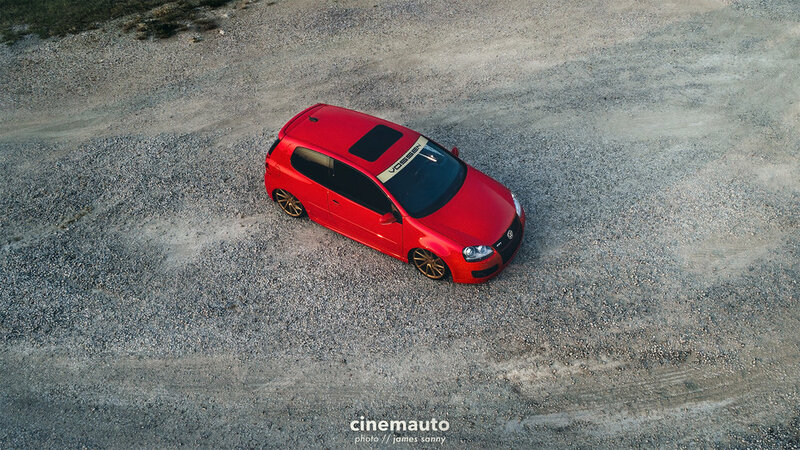 Available with several different engine options, including a diesel, the GTI trim has remained the most popular and top seller of the lot. However, those fitted with the diesel engine, even from the MK1 era, continue to be in high demand among both enthusiasts and serious commuters. The arrival of the 2000's here in the U.S. brought with it an increased interest in modifying and tuning small engine cars. A large majority of these vehicles were secondhand, older, family and economy cars. 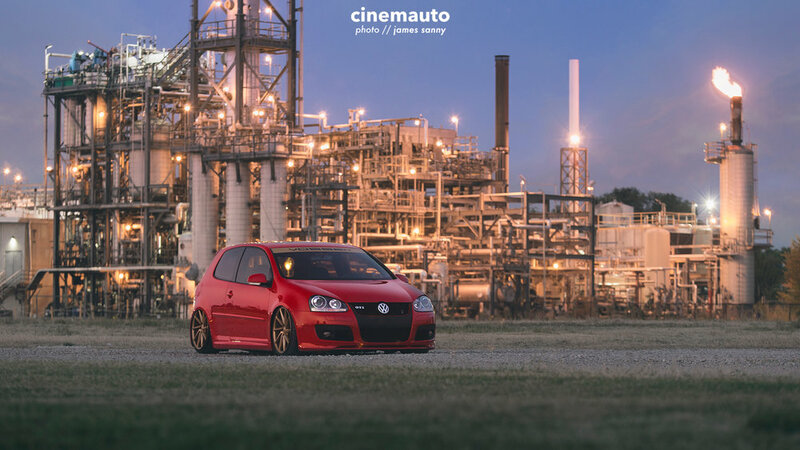 Having recently come off the success of the 2004.5 GLI, GTI and R32 models from the MK4 platform, Volkswagen decided to make a serious push to enter the tuning market. In 2005 the GTI saw its 4th redesign with the MK5. - - photos // james sanny | owner // jake p.